— Rourkela: Water in Brahmani river crosses danger mark; Locals evacuated. — Fire breaks out at Sports Emporium at Jayadev Vihar in Bhubaneswar last night; Sports equipments worth Rs 6 Crore gutted. — Senior IAS officers to assess damage in 3 flood-affected districts of Rayagada, Jajpur and Bhadrak. 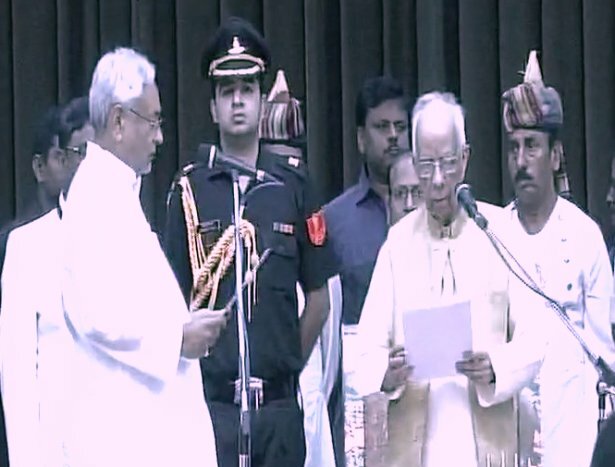 — Nitish Kumar sworn in as Chief Minister of Bihar again; BJP leader Sushil Modi as Deputy CM. — PM Modi to inaugurate Dr APJ Abdul Kalam’s memorial at Pei Karumbu in Rameswaram on the second death anniversary of former President. — Death toll reaches 123 in Gujarat floods. — Donald Trump announces ban on transgender people in U.S. military. — Sports Minister Vijay Goel felicitates Indian women’s cricket team in Delhi.